Trousers – lengthening & shortening the leg length. 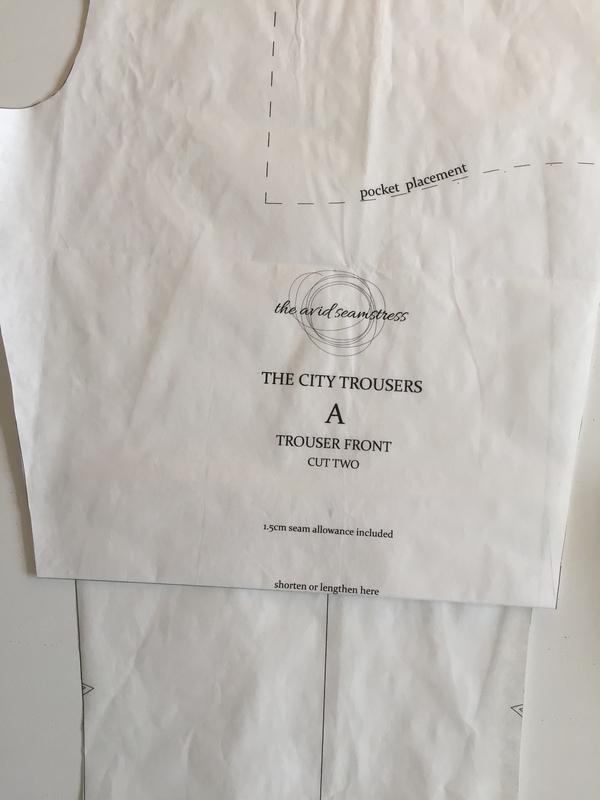 Trouser patterns have a bad reputation – from the overwhelming fly front / waistband / darts / pockets all in one pattern it’s enough to make anyway choose something else to make! 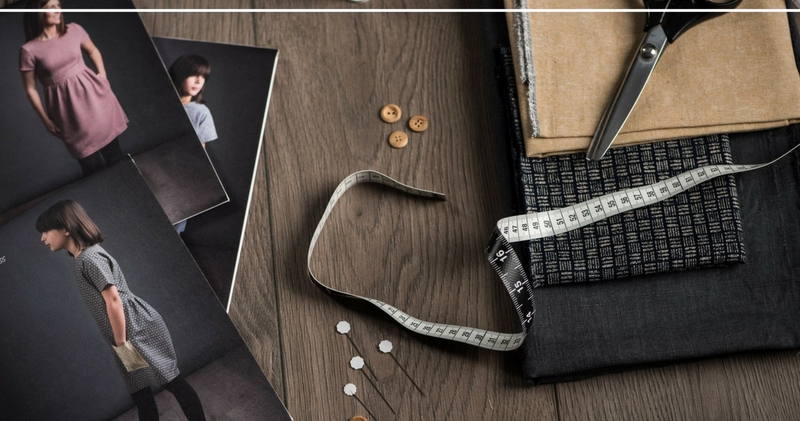 Unless you are a confident sewer and up for a challenge, trousers tend to be the last thing on the “things to make” list! Click here to buy this gorgeous trouser pattern. 2. OR, measure the inner leg of a pair of own trousers that have the same leg length as the ones you are making! 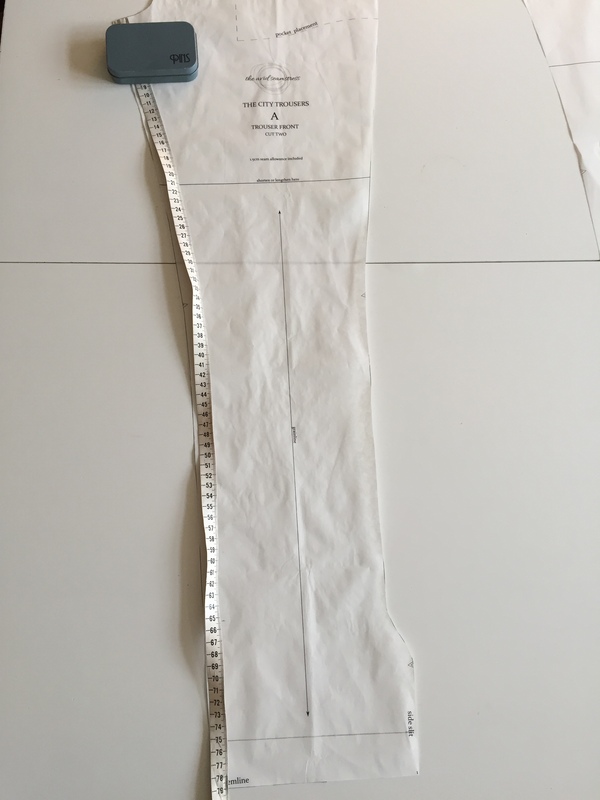 Golden rule – double check your measurements! * Crease the trousers on the “shorten/lengthen” line. * Then start to fold the trousers downwards (essentially in this example I’ve created a fold of 4.5cm which x2 = 9). You’ll notice the sides of the trousers have changed shape. In my example the shape has changed quite a lot as I took off 9cm. You now have your one pattern leg finished. 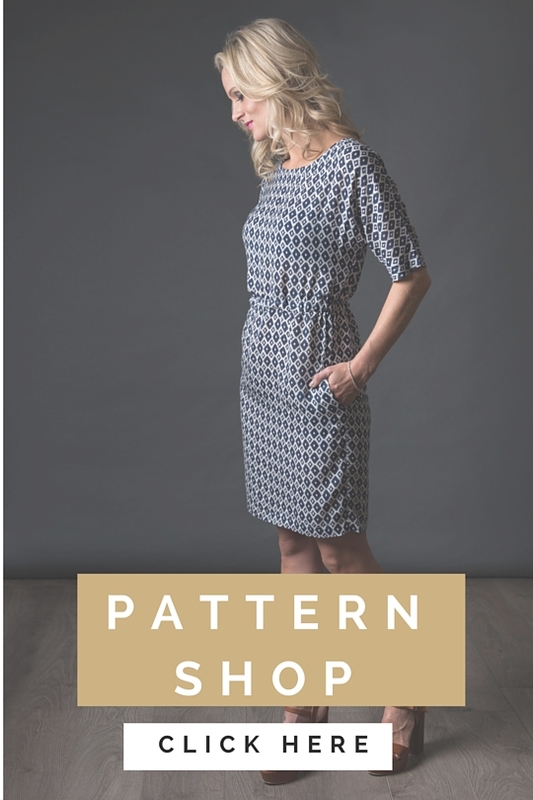 Repeat on the back leg pattern piece and then double check that your inner leg and outer pattern pieces match. You are really just doing the opposite of the above. 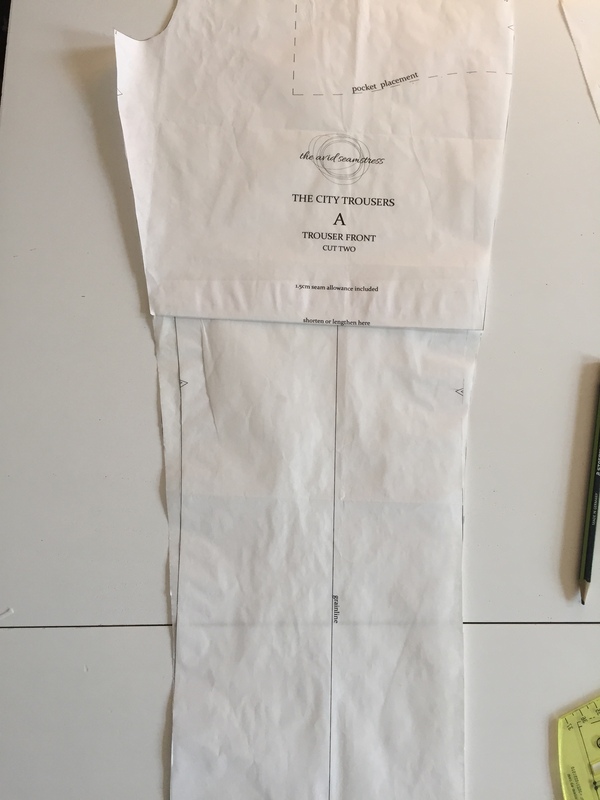 Instead of folding the pattern piece you are going to cut along the “shorten/lengthen” line and open it out the length that you are adding. 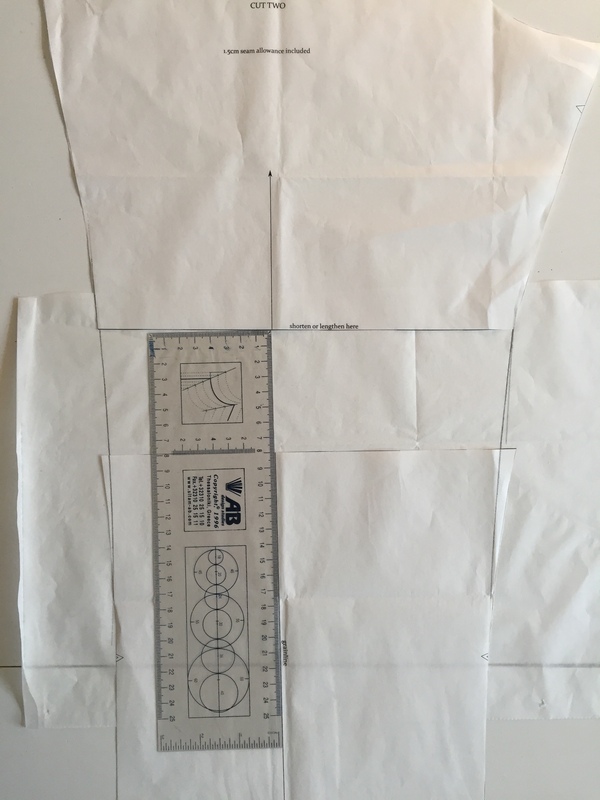 We find it easier to stick the top piece along the cut to your spare piece of pattern paper and then use your ruler to make sure you are creating the accurate length before sticking down your lower leg piece. 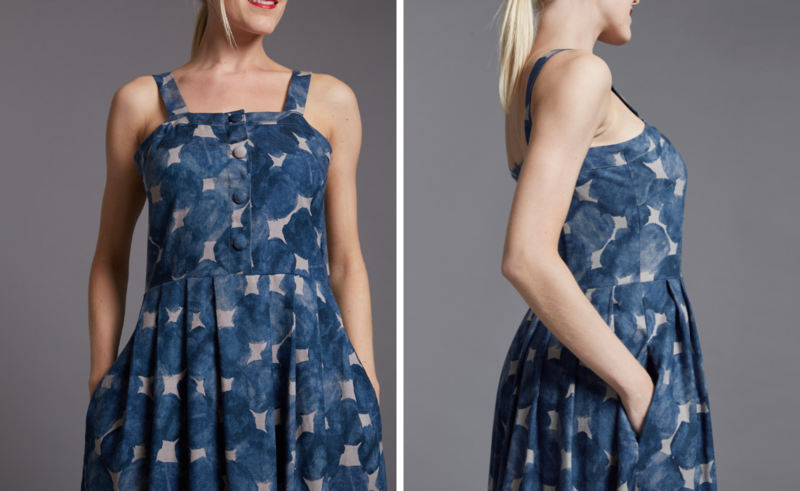 I would suggest that if you make changes to a pattern to always make a “toile” – basically scrap fabric that is similar to the fabric you are using. We hope this helps! 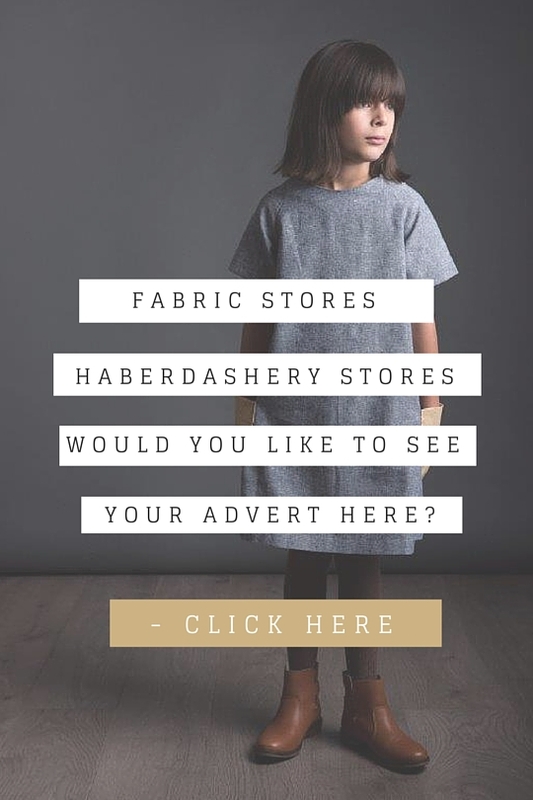 Let us know if you have a better way to do the above – we are always interested in how other seamstresses do these things!